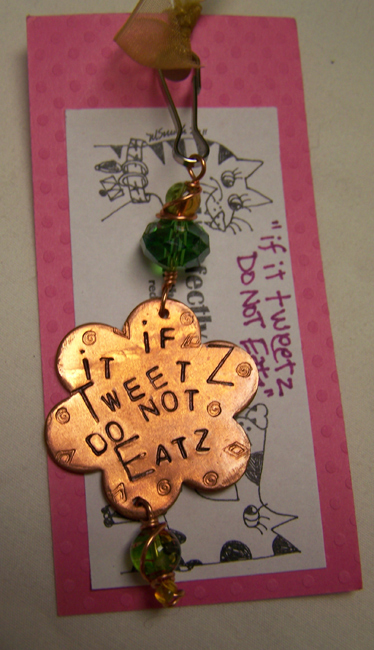 New cat OR dog jewelry from Red Hot Kitties...a "Purrfectly Arfsome" fashion tag, ready to clip onto the collar or harness of your (large, bird-watching)kitty or naughty dog. This one is a 1 5/8" diameter pure copper flower, with a faceted green crystal bead. This could also be a Purrfectly Arfsome keychain for a human!